Sheriff's deputies respond to a fatal crash involving a big rig and a sedan on Ortega Highway near Antonio Parkway in San Juan Capistrano Friday, March 25, 2016. SAN JUAN CAPISTRANO, Calif. (KABC) -- One person was killed and another injured when a sedan and a big rig collided on Ortega Highway in San Juan Capistrano early Friday. The crash occurred near Antonio Parkway just after 2:30 a.m., sheriff's deputies said. The driver of the sedan was pronounced dead. 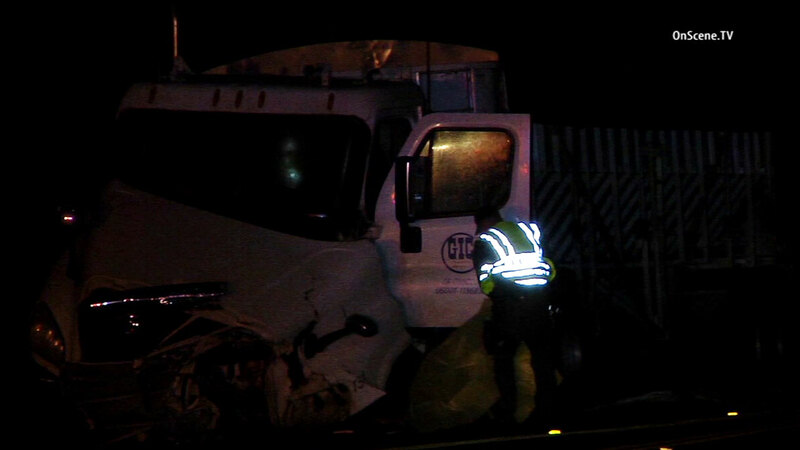 The driver of the big rig was transported to a local hospital in unknown condition. Ortega Highway was temporarily closed in both directions between Antonio Parkway and Avenida Siega. The cause of the crash remains under investigation.